Polka dots are having a major moment this season. 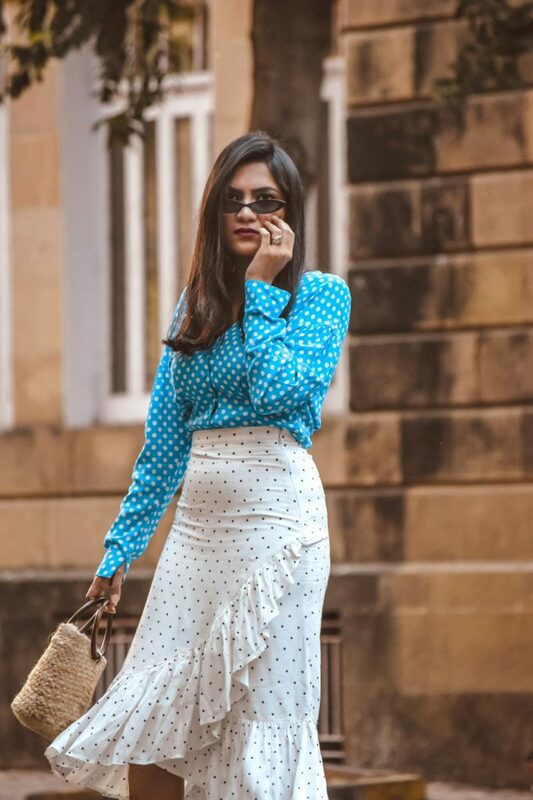 If there is one print you might be seeing left, right and centre its POLKA DOTS and by now every fashionista you know is trying to put her best polka dots look. 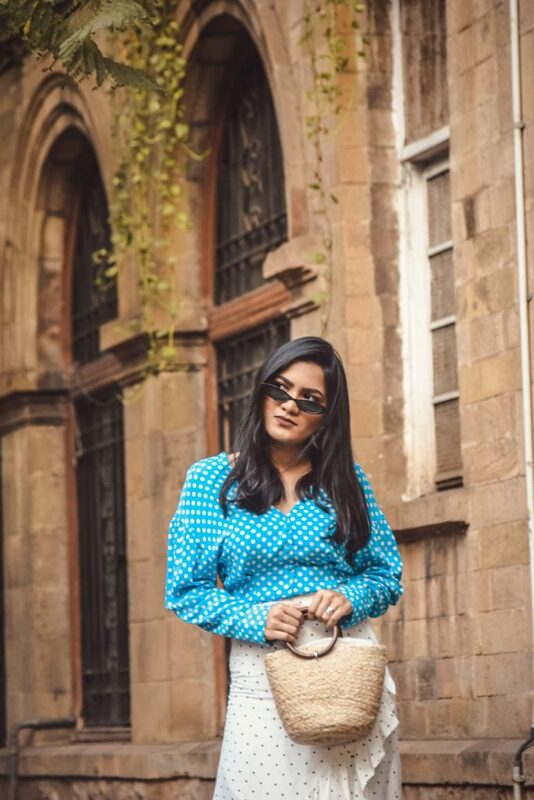 Polka dots inherently have a very feminine and playful vibe to them which is perfect for summer outfits. As this trend is everywhere it is essential to stand out with the styling of the outfit. 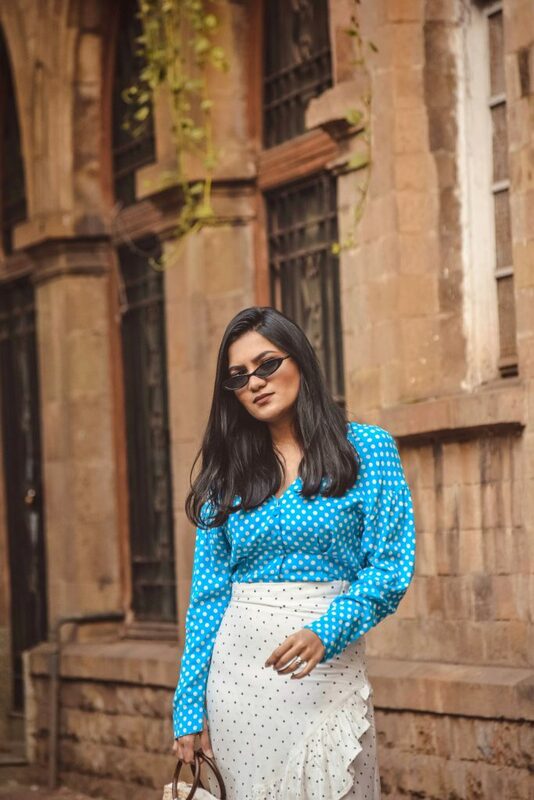 Polka Dots are not new to the fashion scene and we have worn them multiple times, hence I took it up a notch this time by experimenting with the print and creating a head to polka dots look. Picking a colour palette like white in this case which is common in both pieces. 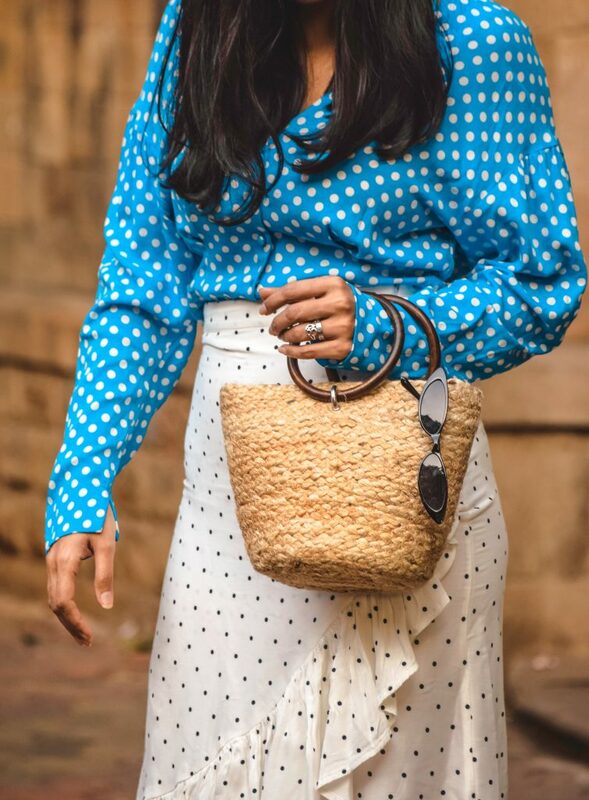 Mixing prints of different scales – The dots on the skirt are smaller than the ones on the blouse. 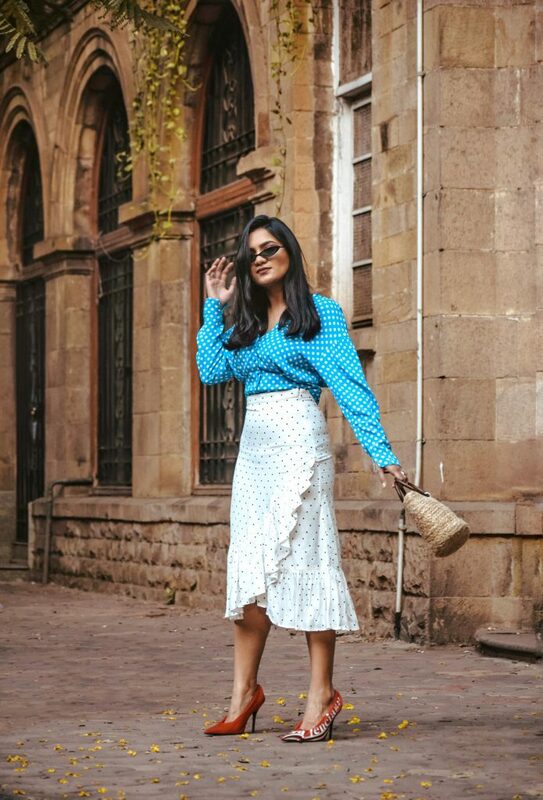 Look for unique/differentiating details – The ruffles details on the skirt and front buttons on the blouse add an extra feature to the outfit. 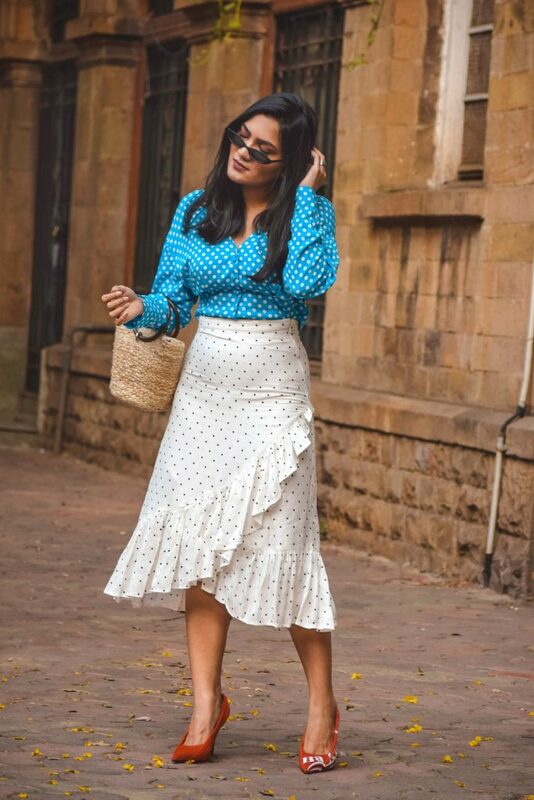 Picking this beautiful wrap skirt with ruffle details and dainty polka dots scattered evenly , all quintessentially feminine details and paired it with a cropped polka dots blouse. I completed my look with a dash of red with those Balenciaga knife pumps and summer favourites straw bag. I LOVEEEE this polka dot editorial! You look so amazing and like a classic Hollywood star!!! BELLA!!!! Your style is just so amazing!